More all kinds of wonderful from the hunting gear community. Per the Sitka website re: the Sitka Dutch Oven Hunting vest. Sitka has been notified that Ardica Technologies, in cooperation with the Consumer Product Safety Commission, has issued a voluntary recall for products featuring Ardica warming components. This product recall includes Sitka Dutch Oven vests sold between August, 2009 and February, 2010. Electrical connections in the warming components of the vest may overheat, posing a burn hazard to consumers. No injuries have been reported. Sitka values the safety of our customers and is cooperating fully to ensure that those who purchased the item in question avoid harm and receive a full refund. Sitka remains committed to producing innovative gear that improves outcomes in the field. We prioritize the comfort and the safety of our hunters and we thank you for your cooperation in this matter. Time for another totally non-hike related post. 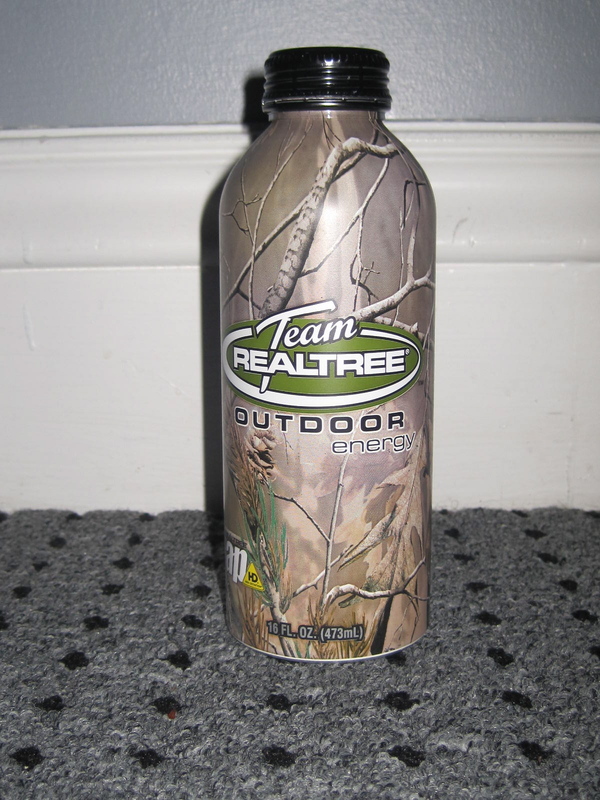 Team Realtree Outdoor energy drink. 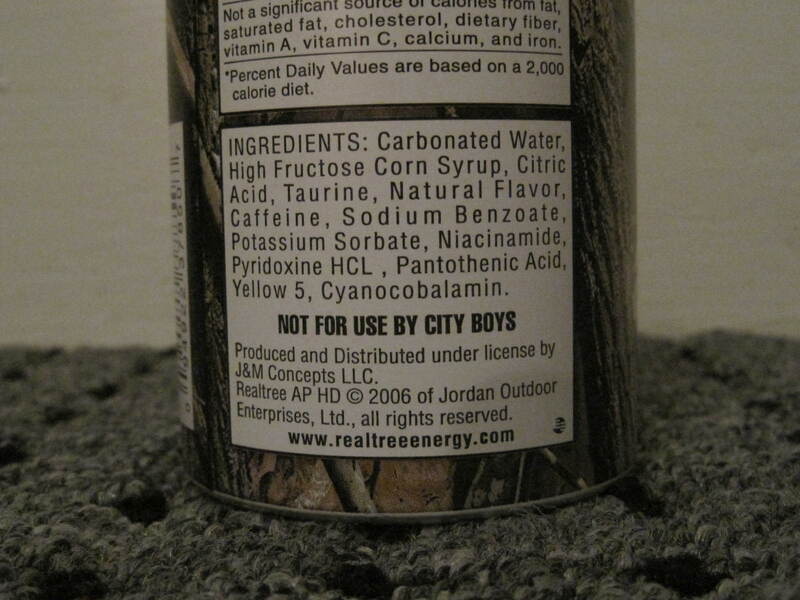 A camouflaged, sugar-packed, carbonated energy drink custom packaged for hunters (so not to “scare away the critters”). I have included photos of the front and the back not only so you can fully admire the camo, but so you can also read the ingredients and, more importantly, the tag line. My initial reaction: God, ANOTHER energy drink…just in a ridiculous(ly awesome) bottle. Is this a real product? Aren’t there too many energy drinks already out there? Who would ever buy this? I then showed it to my husband, who is from Kentucky. His reaction: “Oh my God, this is genius! Why couldn’t I have thought of this?? People are going to love this!” Really? Yes, really. This drink, with 26 grams of sugar, tastes like Squirt and has been a WHOPPING success. Sales have apparently exploded over the past few months and continue to grow. Millions are being made off this product. Baffling. 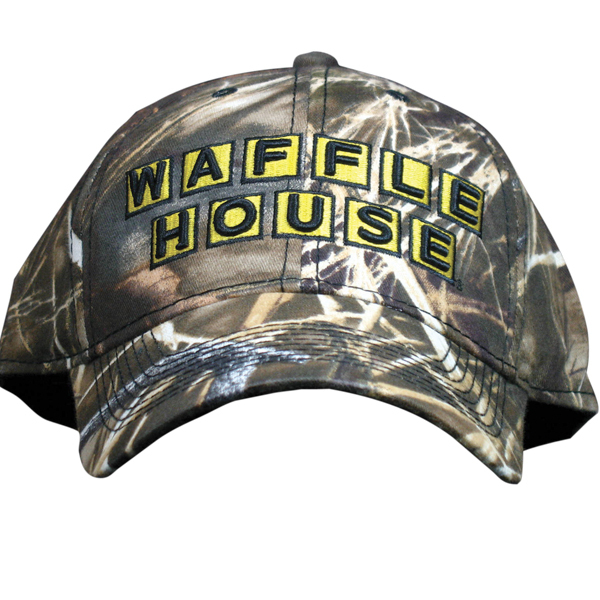 So of course, the next obvious step was finding other ridiculous(ly awesome) hunting paraphernalia from Team Realtree. I discovered: an extensive hunting gear/gadget collection (personal favorites include scent-free metal, squealing hen call, and the savage predator hunter rifle); a wide selection of books, the most prominently displayed being Michael Waddell’s Hunting Booger Bottom (sidenote: Booger Bottom is a place, not a thing); and a full line of women’s clothing, including camouflage mini skirts and camouflage WAFFLE HOUSE hats (specifically for girls). It’s like a whole new world, I had no idea. I know where I’ll be doing my Christmas shopping this year. You are currently browsing entries tagged with Realtree at Rambulatory Ambulatory.